What Does Code P0404 Mean? P0404 is a generic OBD II fault code that indicates that there is an issue with the Exhaust Gas Recirculation (EGR) circuit. The Engine Control Module (ECM) has detected that the EGR circuit is either out of range or not functioning properly. 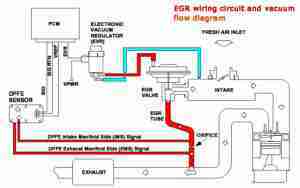 The purpose of the EGR system is to burn fuel more efficiently. The exhaust gases are routed back to the intake for combustion again. This process lowers emissions and increases fuel economy. There are several symptoms that identify an Exhaust Gas Recirculation problem. What are the common causes of code P0404 ? Carbon buildup is the most common problem, when it comes to Exhaust Gas Recirculation Circuit issues. Proper air flow is essential for the system to function properly and carbon blocking tubes and hoses prevents this process. The exhaust gases must have a clear path to be routed back to the intake for combustion. This process regulates the amount of emissions that an engine ex-spells. In most cases, this problem can be eliminated by thoroughly cleaning of the components that are affected. Vacuum pressure is required to operate a vacuum controlled EGR valve and it can be interrupted in several different scenarios. 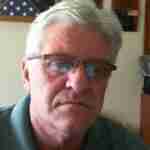 It may be as simple as a defective vacuum line, a broken slice or a broken tee. Vacuum pressure may also be affected by other associated components within the vacuum system. 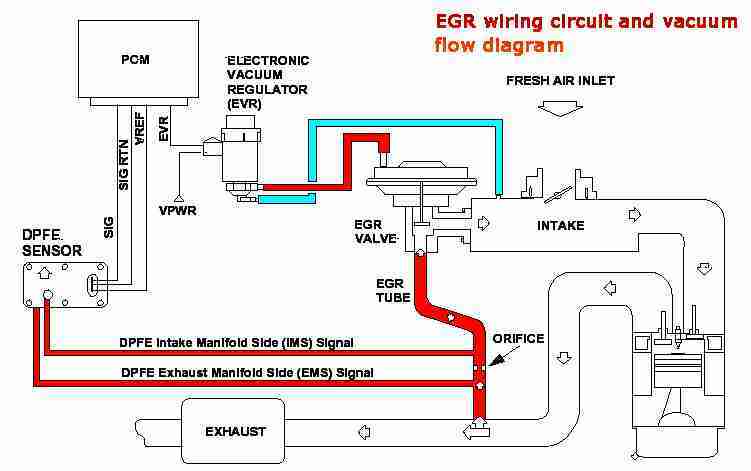 The power to control an EGR valve can also be interrupted in several different ways and some may be difficult to pinpoint. It can be as simple as a loose connector that just needs to be secured properly. A basic wiring repair can also resolve some issues. Depending on the year, make and model of the automobile other situations can occur that are much more complicated. Fusible links are very common in newer vehicles and are often the source of electrical malfunctions. A defective EGR valve gasket can create multiple problems within the Exhaust Gas Recirculation system. This condition can affect or damage other associated components. Exhaust gases can escape and accumulate within the engine compartment and create a safety concern. Defective tubes and hoses are a another very common issue due to wear and tear over time. These components must be in serviceable condition to properly route the exhaust gas from the exhaust manifold back to the intake. If the EGR valve is stuck in the open position then all of the exhaust gases will be directed to the intake. This situation causes the engine to run rough, possibly stall, and you will normally smell fuel. A stuck valve can sometimes be cleaned to correct the issue, but replacement is also occasionally required. 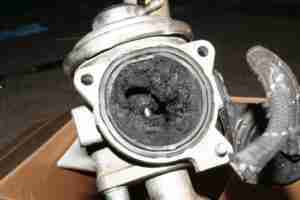 When an EGR valve is stuck in the close position, it is most likely caused by carbon buildup. This situation blocks all exhaust gases and the engine performance will be noticeably affected in a negative manner. Same as the valve sticking in the open position, a closed valve can sometimes be cleaned to fix the problem, but replacement is also occasionally required. What are the symptoms of code P0404 ? The ECM will detect the improper range of the Exhaust Gas circulation system and illuminate the check engine light. This is to alert you of the issue and prompt you to have the system scanned as soon as possible. Engine hesitate is common to this defect and can be caused by several different situations. Some possibilities include a stuck EGR valve, defective hoses or carbon buildup. EGR problems are known to cause a rough idle and this situation will be most noticeable when the engine is cold. Similar to the rough idle situation, the engine may stall when stopped and a red light or when attempting to proceed. Increased fuel consumption is another warning sign that will often occur when a EGR system malfunction exists. Exhaust fumes are normally associated to a EGR valve that may be stuck in the closed position. Fuel fumes are an indication that the EGR valve could possibly be stuck in the open position. Smoke coming from the tailpipe is a huge indicator that a vehicle is experiencing EGR or emission problems. Exhaust Gas Recirculation systems can have several different configurations and various types of EGR valves. Most valves are either vacuum or electrically operated based on the year, make and model of the vehicle. 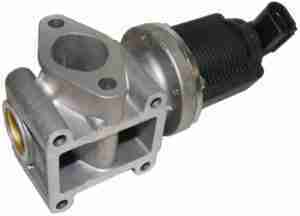 The type of EGR valve determines the correct troubleshooting approach that is required. How do you troubleshoot code P0404 ? Perform a visual inspection to determine the condition of the vacuum lines, tubes or hoses. With the engine running, remove the vacuum line and verify that vacuum pressure is being applied. With the engine running, check for exhaust leaks where the EGR valve mounts to the manifold, where tubes are connected and where hoses are connected. Remove the tubes, hoses and the EGR valve to verify if there is carbon buildup causing the components to malfunction. Inspect the EGR valve to verify that all of its components move freely and that it will completely open and close. Perform a visual inspection to determine the condition of the electrical connection, tubes or hoses.